This post is a part of Geek Takeover Week 2013. 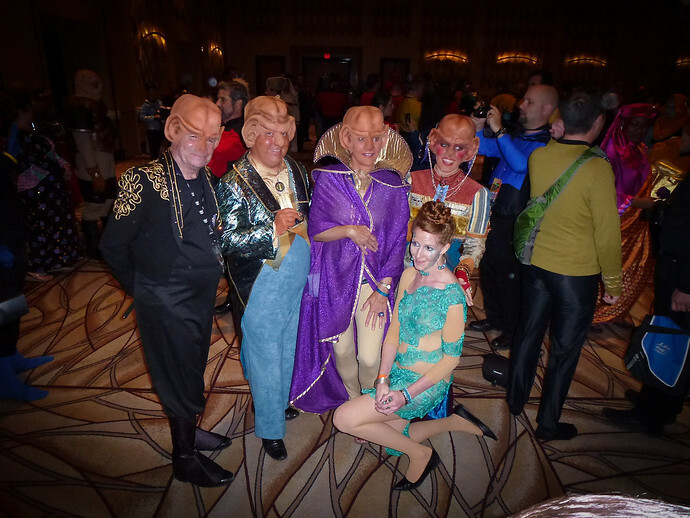 When I first attended the world’s largest Star Trek Convention at the Rio All-Suite Hotel and Casino in 2011, I had a great time but did it all wrong. Over the past three years however, I’ve learned how to save 50% on tickets, catch my favorite Star Trek actors without paying fees, and not miss the rest of Las Vegas in the process. 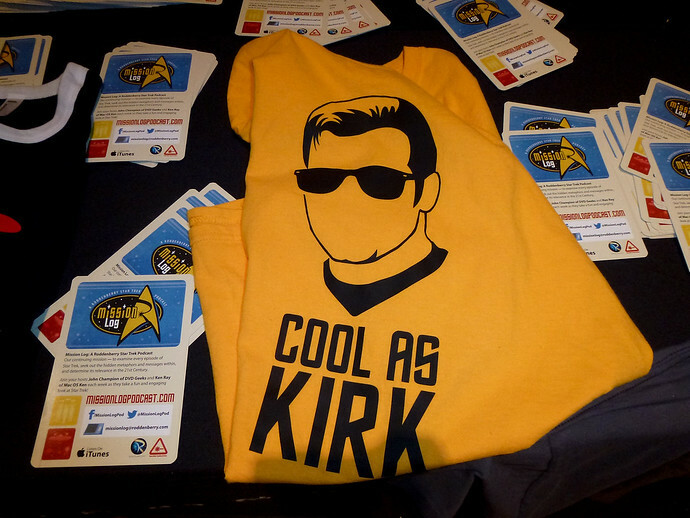 In this post, I’m going to teach you how to do the same and hack the Creation Star Trek Convention in Las Vegas, whether it’s your first or fourteenth time trekking out Starfleet style. During my first Las Vegas Star Trek Convention (STLV), I made the terrible choice to stay at a hotel near the Rio All-Suite Hotel and Casino, where the Star Trek Convention is held, rather than in the Rio. The money I was trying to save evaporated into taxi fare – not to mention precious gambling time gone to trips back and forth. 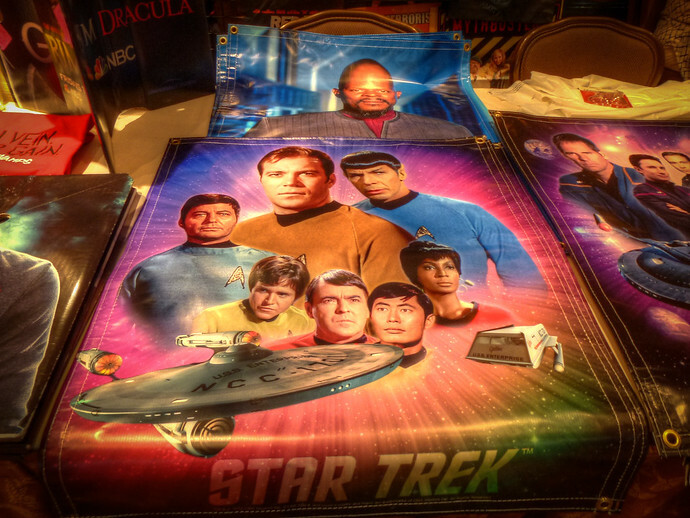 The Star Trek Con is an all-day event – there are few breaks between the talks, vendor room, shows, late-night boozing with 15,000 Trekkies. 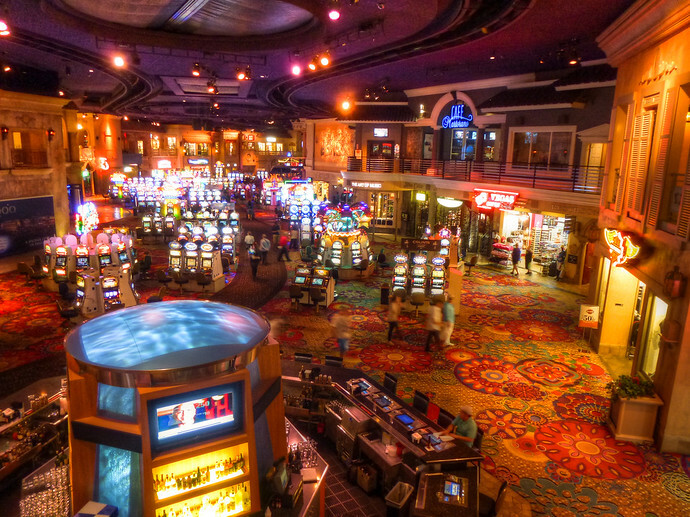 Book Rooms With Creation’s Discount Code – Creation Entertainment, the company that organizes STLV advertises reduced rates at the Rio, usually around the end of the preceding year. Remember to book early as the discounted rooms tend to sell out quickly. I personally would recommend arriving in Las Vegas on the Tuesday the week of the convention. That gives you all of Wednesday to rent a car and explore nearby sites like the Hoover Dam (1 hour), Grand Canyon (4 hours), or blackmail box (2.5 hours) if you’re a UFO enthusiast. The Rio also has a 26-hour complimentary shuttle to the Las Vegas Strip that leaves every 20 minutes or so. Save $12 Getting To The Hotel From The Airport – Those of you flying in to Las Vegas’ McCarran International Airport should call the Rio (866 746-7671) one day prior to arrival to arrange an airport shuttle. Instead of paying $20 for a cab, the ride will cost you $8.50, and only take about 10 minutes longer. 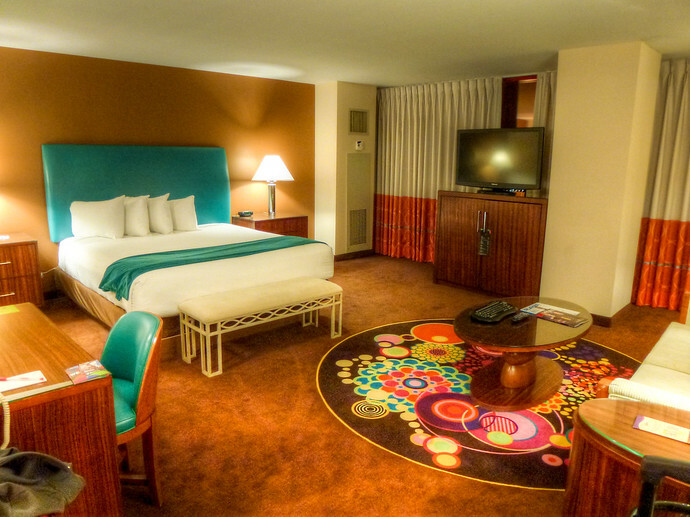 For a better look at the rooms, casino, and buffets check out my full review of Rio All Suites Hotel And Casino In Las Vegas, Nevada. Las Vegas is truly a city of deals and discounts, making any trip there considerably less expensive if you can find them. The Las Vegas Star Trek Convention is no exception with half-off entrance tickets popping up on Goldstar and Groupon in late spring. Facebook Pages To Follow For Deals – You’ll get the latest on reduced convention tickets by following the Star Trek, Subspace Communique, and Trek News on Facebook. Don’t ever buy secondhand tickets or overpay on the listed door prices online. Since the Convention Center capacity is huge, you shouldn’t have any trouble purchasing tickets at the door on Thursday or Friday for the entire weekend. If will be getting your convention tickets at the door, I recommend doing so anytime on Thursday morning so you don’t have to deal with the growing lines as the weekend approaches. …I should say the caffeine-addicted, calorie-burning, hungry Star Trek actors and writers running around the Rio Convention Center. Start off early in the mornings, before the convention hours around 7 or 8am. That’s when you have got a good chance to find a number of Trek actors who follow continue their workout routines on the road. Another great place to run into a number of Star Trek stars is the Starbucks along Convention Hall – but timing is key, especially if you want to chat with any given actor. The afternoon and early evening hours of the first convention day (Thursday) are ideal, as is Saturday and Sunday after 7:30pm. That’s when many of the celebrities are in town and have finished their talks. It’s in the late evening they tend to hang out with the family and friends accompanying them to Las Vegas, often past the Starbucks’ closing time. Google This Conversation Starter – I’ve met a few people who use a simple tactic to get the attention of any of the actors, no matter how busy they happen to be in the moment: Search on IMDB for some obscure appearance on a TV show or movie they were in and shout it out. They’ll be thrilled (or shocked) you’ve “seen” that low budget horror movie they were in and probably be happy to talk a bit more about it. Also later in the evenings, the restaurants inside the Rio are ideal for chance encounters and meals to fuel your time at the convention. I met George Takei (Sulu from Star Trek the original series) at the Buzio’s Seafood Restaurant and have heard from others that several Starfleet captains like to dine there as well. 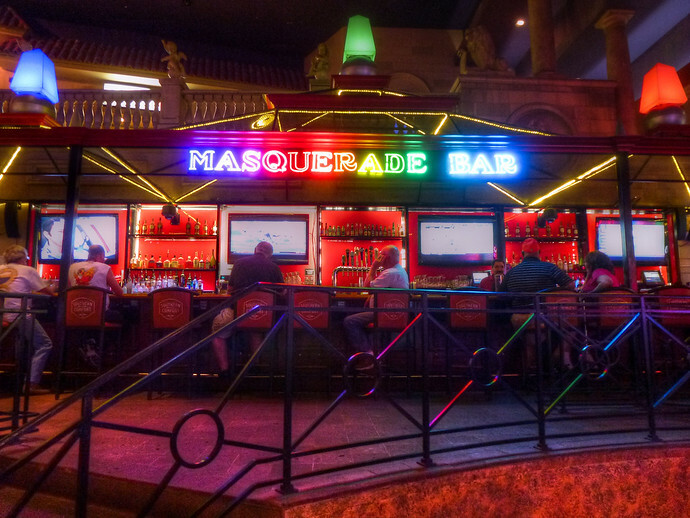 Finally, to see the drunk version of your favorite starship crew member, drink your way past 3am at the Masquerade Bar (on Friday night in particular) and you may just get your wish. The vendor’s room is paradise for any shopping sci-fi fan, where you can pick up a bat’leth to defend your honor or a Star Trek shot glass to shoot Andorian Ale. The vendors are all looking to move as much merchandise as possible but remember the third Rule of Acquisition – never pay more for a transaction than you have to. Bargain with the vendors during the closing hours of the convention on Sunday when they’re eager to sell off what they can before the next sci-fi event in another city. Creation-specific items with dates, like Star Trek 2013 shirts, are the easiest to negotiate on. It can’t hurt and is effective more often than you might think. Visually, the costume parade and contest is my favorite event of the entire weekend, with detailed costumes made by hand and aliens of all sorts walking around. Unfortunately the auditorium for the annual costume contest is restricted to those who are dressed up (or members of the press) in order to meet the requirements for the Guinness World Record that is broken every year (for the most Trekkies dressed up in one place). You can walk past the line to catch a glimpse of the best outfits but a better alternative is to buy a Starfleet t-shirt, wear matching black pants, and pin on a communicator or some Vulcan ears. Instant costume and easy access to the costume contest. Plus, you’ll be helping add to the record which has been going back and forth from STLV and FedCon in Germany. 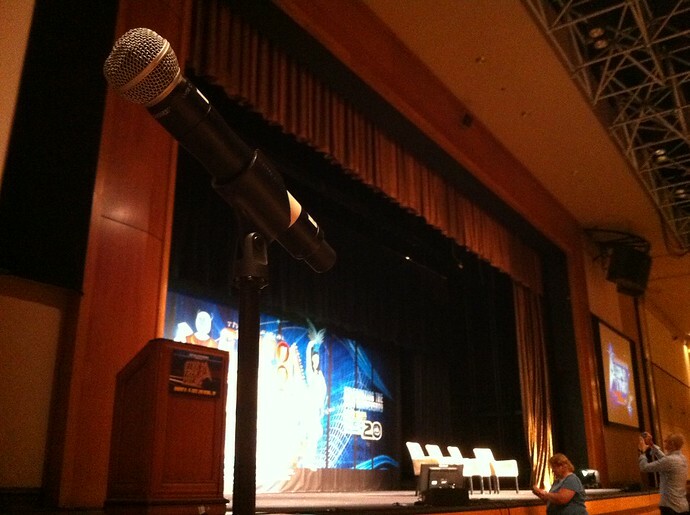 You’ve saved your gold-press latium while sighting Captain Kirk and if you want the best picture of him, walk up to the microphones set up for questions during the talks. From there you can get a great view of the stage for photos plus ask the dorkiest episode question on your mind. Now you’re set to immerse yourself in 96 hours of Star Trek in infinite diversity and combinations of fun. NextWhich Star Wars Character Would Be Best To Take A Gap Year With? Looks like you had a great time on your visit. I can’t wait to just nerd out and attend one of the conferences myself! So much fun I’ll be back in August 2014 – let me know if you’ll be there! Wow! I’m not a trekkie, but I still think I’d have a blast at an event like this!! Awesome tips! We’ll be attending the 2016 convention. Thanks for the great tips!